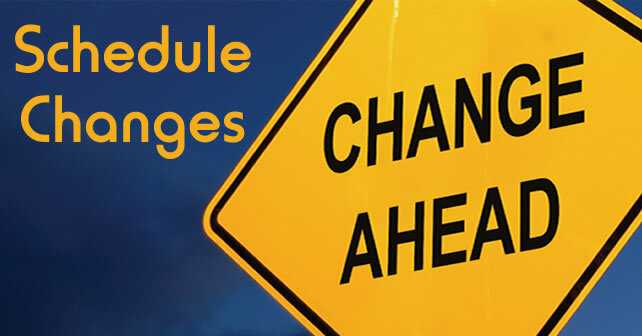 For week commencing 11th April we have a few on-air schedule changes to inform you of. On Mondays at 11am you can catch Travel-Bites. David Gordon visits national and international tourist destinations each week. Ideal if your planning a holiday. John Berryman’s Golden Oldies show gets an extension. The show will still feature the classic albums on Tuesdays at 2pm but now in addition on Wednesdays at 2pm Golden Oldies will bring you the classic singles, predominantly from the 50’s, 60’s and 70’s decades. Thursdays at 2pm will now be the home of Sam’s Rockin’ Rodeo Radio Show. Sam Harber moves from Sundays with the show that features a mixture of music with listener requests. Friday afternoons will now be a journey through the decades. John Berryman brings you Sixties Gold at midday and then our new presenter, Geoff Dorsett, brings you Supersonic Seventies at 2pm with Kick Up The Eighties at 3pm. On Saturday 16th April we see the final outing of our Saturday evening show Ignite. Presenter Liam is moving on to pastures new and we thank him for providing the soundtrack to our Saturday nights for the past six months.